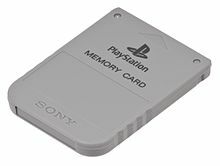 Law Web: Whether memory card produced by accused during cross examination of witness can be exhibited? Whether memory card produced by accused during cross examination of witness can be exhibited? "13. It is an archaic practice that during the evidence collecting stage, whenever any objection is raised regarding admissibility of any material in evidence the court does not proceed further without passing order on such objection. But the fall out of the above practice is this: Suppose the trial court, in a case, upholds a particular objection and excludes the material from being admitted in evidence and then proceeds with the trial and disposes of the case finally. If the appellate or revisional court, when the same question is re-canvassed, could take a different view on the admissibility of that material in such cases the appellate court would be deprived of the benefit of that evidence, because that was not put on record by the trial court. In such a situation the higher court may have to send the case back to the trial court for recording that evidence and then to dispose of the case afresh. Why should the trial prolong like that unnecessarily on account of practices created by ourselves. Such practices, when realised through the course of long period to be hindrances which impede steady and swift progress of trial proceedings, must be recast or re-moulded to give way for better substitutes which would help acceleration of trial proceedings. 15. The above procedure, if followed, will have two advantages. First is that the time in the trial court, during evidence taking stage, would not be wasted on account of raising such objections and the court can continue to examine the witnesses. The witnesses need not wait for long hours, if not days. Second is that the superior court, when the same objection is re-canvassed and reconsidered in appeal or revision against the final judgment of the trial court, can determine the correctness of the view taken by the trial court regarding that objection, without bothering to remit the case to the trial court again for fresh disposal. We may also point out that this measure would not cause any prejudice to the parties to the litigation and would not add to their misery or expenses. 16. We, therefore, make the above as a procedure to be followed by the trial courts whenever an objection is raised regarding the admissibility of any material or any item of oral evidence. 7. The trial court should have allowed to play the Laptop so as to contradict the witness with his earlier statement in order to enable him to admit or deny the same. It along with exhibit would remain tentative. 8. At the stage of cross-examination for contradicting PW (2), the defence should have been allowed to play the Laptop and even prayer for placing on record the memory cards and CD should have been granted which would remain subject to objection and a necessary note to that extent should have been recorded, as is permissible in view of the law laid down by the Hon'ble Supreme Court in Bipin Shantilal Panchal's case (MANU/SC/1529/2001 : AIR 2001 SC 1158), as referred above. Sultan Mir and Ors. Vs. State of J. & K.
1. Application of the accused, "for taking on record the memory cards, CD and for permitting the Laptop to be played in the Court, with a further prayer to permit the petitioners to confront PW 2 with his earlier statement, as given by him to the press and media, video recording of which in CD has been presented before the trial court along with Laptop chips and certificate from the person under whose management said instruments were and have been from the time of its recording with a further prayer for directing the ETV Urdu to produce the recording of the same for cross-examination of the said witness in accordance with law" has been rejected by the trial court (4th Additional Sessions Judge, Srinagar) vide order dated 08.04.2015. Same is to sought to be quashed. In connection with murder of one Mst. Saja, case has been registered as FIR No. 24 of 2013 P/S Safa Kadal for commission of offence punishable under Sections 302, 148, 147, 447, 120-B, RPC. Investigation of the case culminated in presenting challan (charge-sheet). Trial court has framed charge against the accused for commission of aforesaid offences and trial of the case as such is in progress. 2. PW 2, Tariq Ahmad, son of the deceased, before the trial court has deposed in the examination-in-chief that at the time of occurrence he was present on spot whereas during cross-examination on the question of the counsel for the defence stated that it is incorrect that he was not present at the time of occurrence. Then has further stated that he did not pay heed as to whether his statement was recorded by ETV and telecasted or not. He further stated that he could not pay heed as to whose statement was recorded by press and media. At such stage learned defence counsel wanted to show video clippings but the statement, in view of the order recorded, has been deferred, as a result whereof defence counsel filed an application praying therein that the trial court may be pleased to take on record the memory cards, CD and permit Laptop to be played in the Court in order to demonstrate the importance and relevance of the earlier statement of PW Tariq Ahmad Khanday, son of the deceased, which he had given on spot to the press/media with a further prayer that the defence shall be allowed to contradict the witness and to impeach his credit so as to bring truth on the record with a further prayer that in case said witness still denies the same after having put the same to him, the memory cards and CD shall be sent for FSL examination or call for the recorders of the same to identify its veracity as required under law. 3. Trial court after noticing position of the case as well as law on the subject has concluded that the application at such stage could not be granted being premature, as such, dismissed the application with an observation that the order shall not preclude the applicants from availing the remedy at the appropriate stage when they will be required to enter upon their defence in terms of Section 274, Cr.P.C. 4. While considering the submissions as have been made by learned counsel for the parties and on careful scrutiny of the records what emerges is that trial court has ventured to look into the admissibility of the evidence and also the procedure governing the sessions trial. In the opinion of the trial court, the memory cards and CD being electronic evidence can be permitted to be produced by the defence at the time they will be asked to enter upon the defence. 5. Section 65-B of the J.&K. Evidence Act, Smvt. 1977 envisage that any information contained in electronic record which is printed on a paper, stored, recorded or copied in optical or magnetic media produced by a computer (hereinafter referred to as the computer output) shall be deemed to be also a document, subject to the conditions enshrined therein the Section, shall be admissible in any proceedings. The memory cards and CD, no doubt, is a document in terms of Section 65-B but same has to satisfy the conditions enshrined which essentially can be better looked into at the time defence is asked to enter upon his defence. 9. Basically, the defence wanted to play the Laptop and to place on record the memory cards and CD because same was necessitated in view of the statement of certain witnesses and in view of the statement of PW (2) as well, who, while deposing in the Court, has stated that he was present on spot at the time of occurrence, means he saw the occurrence whereas defence was in possession of videos depicting that PW(2) had reached the spot after the occurrence, means he has not seen the occurrence, which fact, according to the defence, was corroborated by the statement of PW(2) recorded by the press on spot and it is that statement which has been videographed, memory card and CD has been prepared and same has been put on Laptop, therefore, it was a material question to be put to the witness and then it was choice of the witness to say yes or no to the same. 10. It is equally true that the other prayer of the defence to the effect that in case PW (2) denies the position as would appear from the memory cards, CD and Laptop, then the same should be sent to FSL for examination or to call recorders of the same to identify its veracity under law, could not be granted because it is only after completion of prosecution evidence and recording statement under Section 342, Cr.P.C. and hearing the matter under Section 273, Cr.P.C., if the accused would be asked to enter upon defence under Section 274 Cr.P.C., then at that stage they could seek assistance of the court but not at this stage when the prosecution witnesses are being examined. For that defence has to wait. 11. The cross-examination of the witness, in fact, is aimed at eliciting truth and in the process defence has every right to contradict the witness. If same is denied, then the very object of cross-examination will get defeated. The defence has a right to make every endeavor to impeach the credit of the witnesses, as is permissible, for truth to prevail. 12. The Hon'ble Apex Court while noticing that during evidence collecting stage when objection is raised regarding admissibility of any material in evidence, Court does not proceed without passing order on such objection. Such practice through the course of long period was realized to be hindrance which impedes steady and swift progress of trial proceedings and it is in the same background, Hon'ble Apex Court has held in Bipin Shantilal Panchal's judgment (MANU/SC/1529/2001 : AIR 2001 SC 1158) that "whenever an objection is raised during evidence taking stage regarding admissibility of any material or item of oral evidence, the trial Court can make a note of such objection and mark the objected document tentatively as an exhibit in the case (or record the objected part of the oral evidence) subject to objection to be decided at the final stage of the trial. If the trial Court finds at the final stage that the objection so raised is sustainable, he can keep such evidence excluded from consideration". So in view of the clear cut position of law as laid down by the Hon'ble Apex Court, as quoted in para 7 above, the trial Courts have to follow the same. 13. In view of the stated facts, reasons and the law laid down by the Hon'ble Supreme Court, trial court is directed to take on record the memory cards and CD, being a document in terms of Section 65-B of the Evidence Act, However, same will remain subject to objections and will also remain subject to proof to be produced by the defence when asked to enter upon defence in terms of Section 274, Cr. P.C. The trial court shall allow playing of Laptop so as to put the same to PW (2) and then it is for the PW (2) to reply. The trial court shall record the question and answer and finally keep the same subject to objections to be decided at the last stage of the trial because if such course is not adopted, there will be miscarriage of justice and abuse of process of the Court and, in particular, shall be in deviation to what has been directed to be followed by Hon'ble Apex Court, as quoted in para 7 above. 14. Petition succeeds as above. The trial court shall proceed in the matter as directed. Copy of the order be sent to the trial court for information.